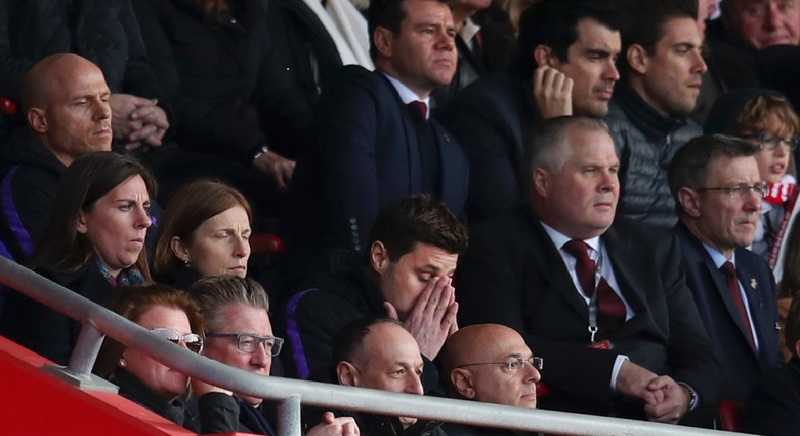 From title contenders, Tottenham Hotspur have become a side struggling to secure Champions League qualification for next season. A 2-1 loss to Southampton on Saturday has cast big concerns on a possibility of them remaining on third spot after the game between Arsenal and Manchester United on Sunday. While Unai Emery's men sit just four points away from their arch-rivals, the Red Devils trail with just three meaning an away victory for them this evening will put them level with Spurs. As for Chelsea, they have got two more games to play and could as well add to Mauricio Pochettino's woes if they can get maximum from both encounters. The predicament of the London side has caused rival fans looking to push them off the top 4 region to laugh at them, hoping to see them end their long-term dominance. Below are some mocking tweets from Twitter in the aftermath of yesterday's Premier League clash with the Saints. Never seen a side that gets so many wrong decisions in their favour as Tottenham. Every week! Absolute joke - Be 12 points worse off and 3 times as many players suspended when VAR comes in! I hope tottenham becomes 4th tomorrow. Harry Kane's opener, his 200th career goal, could not do much to give his side victory despite their dominance in the first half. That was their third loss in their last four league games. It could have been four out of four if not for poor officiating when they host the Gunners at the Wembley Stadium last weekend.